Among the wreckage on Wall Street, there were a few stocks that still shined. Twitter (NYSE:TWTR) was one that had a strong week while most struggled. Last week’s performance wasn’t a fluke for TWTR, however. Since March 8, TWTR stock has had a 12% rally. So it has momentum on its side and therein lies the opportunity. 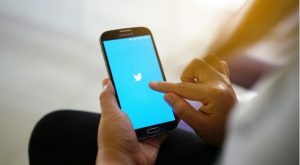 Article printed from InvestorPlace Media, https://investorplace.com/2019/03/theres-an-opportunity-brewing-in-twitter-stock/.